At the rate at which new security vulnerabilities are discovered and exploited by malicious entities on a daily basis, your enterprise security posture needs to be closely monitored in order to effectively update your applications and systems so that they're patched in order to address the vulnerabilities identified. Failure to do so exposes mission-critical applications to attacks that ultimately lead to security breaches within your organization and can potential lead to financial and personal loss. It is crucial to have a application development and release process that can keep up with the vulnerability detection rate. 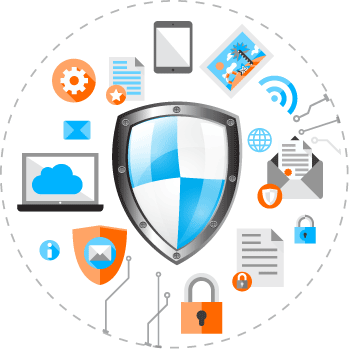 With proven expertise in secure software development and software security assurance RAZOR Technologies helps clients to create state-of-the-art secure applications, assess and significantly increase security level of the existing software and applications. The process of creating application architecture should always be undergone with the security in mind. Unless it is, implementing security policies after the application or software is already on the market will not be of much use in drastically decreasing system vulnerabilities. Describe existing architecture in details. Break down software architecture into individual ties. Best application architecture approach is to have multiple layers to separate various functional parts of the system into logical block. For example, front-end, mid-tier and data management layer. This approach allows applying different security methods and practices for each of the layers minimizing the threat of the breach. Define and describe coding practices that are currently used. A lot of the commonly exploited vulnerabilities are a result of poor software development coding practices. At RAZOR Technologies we leverage best programming techniques for every language paired with our rigorous integrated quality assurance processes. This approach minimizes the number of software “bugs” created in the process and, subsequently, the amount of time to fix them. Formal security and quality assurance program is the best approach to ensure proper application development process. All application modifications should undergo both automated and manual testing, including full performance and vulnerability testing before the commercial deployment. What vulnerability assessment and testing methodology is used? Web-application and SaaS systems should be routinely tested for vulnerabilities to ensure that application enhancements, server upgrades and new feature roll-outs will not lead to security vulnerabilities.